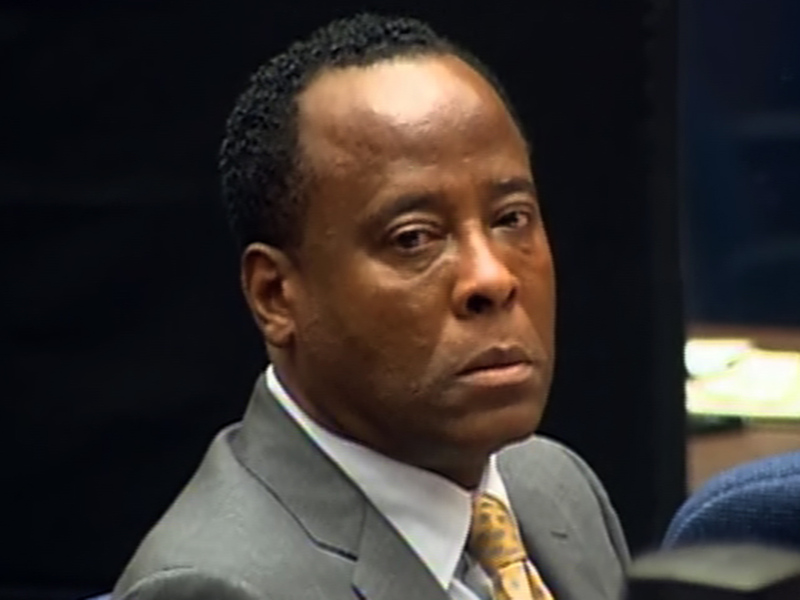 (CBS/AP) LOS ANGELES - The manslaughter trial against Michael Jackson's doctor Conrad Murray begins its second week Monday with prosecutors furthering their examination of an emergency room physician who gave paramedics permission to pronounce the pop superstar dead in the bedroom of his home. Prosecutors have been laying out their case against Murray in a chronological fashion, with witnesses during the first week of trial recounting the singer's final performances, his interactions with fans on his last day and frantic efforts to revive the King of Pop. Authorities contend Murray gave Jackson a lethal dose of the anesthetic propofol and other sedatives in the singer's bedroom in 2009. Murray's attorneys are presenting jurors with an alternate theory - that Jackson gave himself the lethal dose when Murray left the room. The Houston-based cardiologist has pleaded not guilty. Murray, 58, faces four years behind bars and the loss of his medical license if convicted. Prosecutors will continue to question emergency room doctor Richelle Cooper, who authorized the decision to pronounce Jackson dead in his rented mansion. Murray wanted resuscitation efforts to continue at the hospital. Cooper and another doctor are expected to testify about their interactions with the cardiologist. Cooper is the 12th witness prosecutors have called so far in the trial which is expected to last five weeks.